DO IT YOURSELF -NO TOOLS REQUIRED! 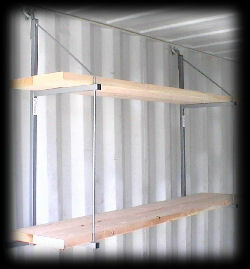 AWOL is a Factory Direct Distributor of ConExtra Shipping Container Shelf Brackets that require NO TOOLS! Our Shelf Brackets are manufactured exclusively in the USA and made with American Steel. A standard 20ft shipping container has about 2400 cubic feet of storage space, but most people only use half of the space. Why? Customers do not realize that they can affordably maximize the use of their storage container space within minutes. ConExtra’s innovative shipping container shelf brackets are the perfect solution to organize and fully utilize your container. 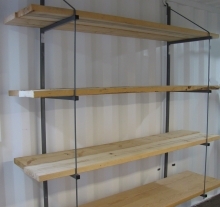 The shelf brackets provide immense shelf space and rigid stock storage without interfering with valuable floor space. These brackets are economical and eliminate the cost of hiring a professional. For more information and pricing please visit our website: www.cargocontainermods.com. 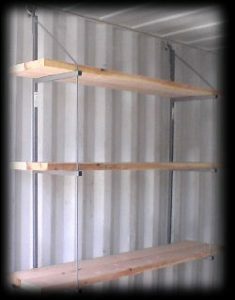 AWOL is a Factory Direct Distributor of ConExtra Shipping Container Pipe Racks that require NO TOOLS! 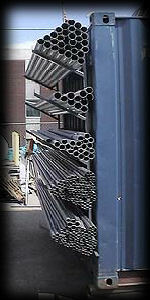 Our Pipe Racks are manufactured exclusively in the USA and made with American Steel. 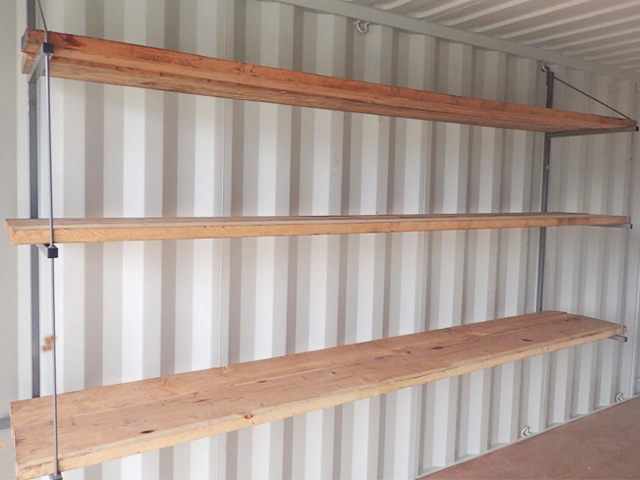 Building Contractors, Plumbers, and Electricians have found our Shipping Container Pipe Racks to be the most economical solution for quick access to PVC, tubing, pex, conduit and other piping routinely stored inside a shipping container. 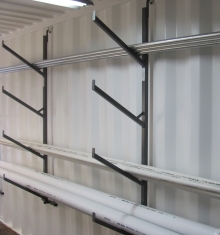 Pipe Racks help keep materials organized and frees up valuable floor space. DO IT YOURSELF – NO TOOLS REQUIRED! AWOL is a Factory Direct Distributor of ConExtra File Storage Shelf Brackets that require NO TOOLS! Our File Storage Brackets are manufactured exclusively in the USA and made with American Steel. ConExtra’s innovative File Storage shelf brackets are the perfect solution for storing legal and banker size file boxes while keep them easily accessible when needed. File Storage Boxes can conveniently be stored off the floor of a container (or warehouse), and kept safe and dry without interfering with the rest of your container space. Perfect for businesses and medical companies!